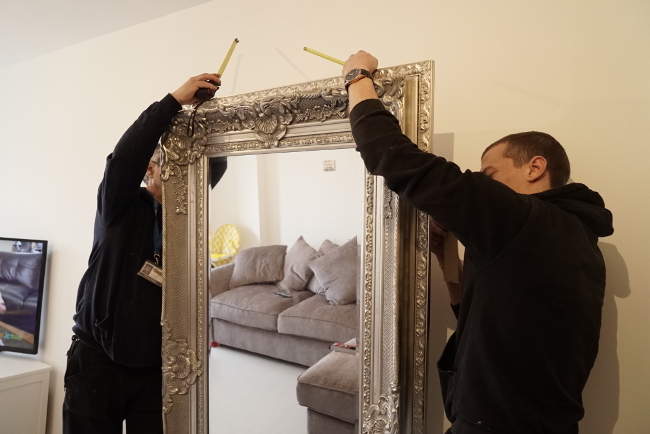 The Handy Team Fitted a Huge Antique Mirror in a Hassle-free Manner! 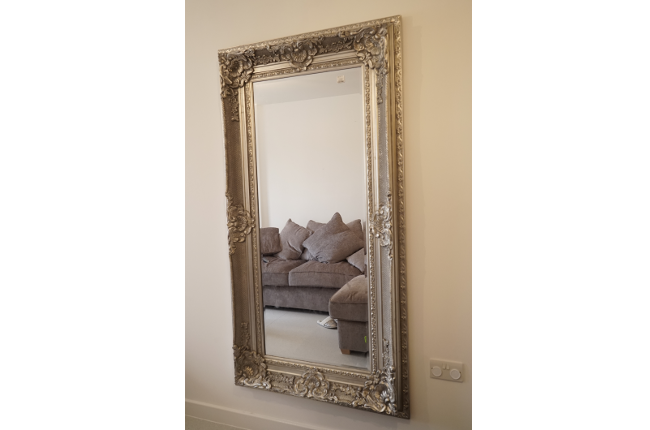 A customer in Lewisham wanted a large mirror (roughly 6ft by 4 ft) with a vintage wooden frame and carved floral motifs fitted on a wall. 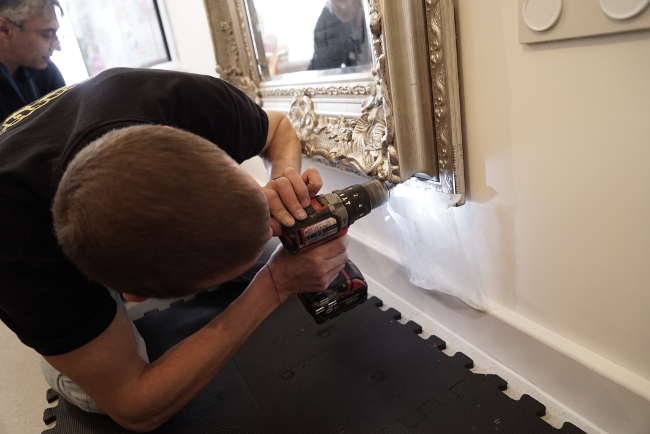 Since the mirror was big and heavy, Fantastic Handyman sent a team of two fitters to safely and securely mount the mirror to a plasterboard wall. The handy team completely changed the appearance of the room with the large mirror installation. This decor addition definitely spiced up the interior! 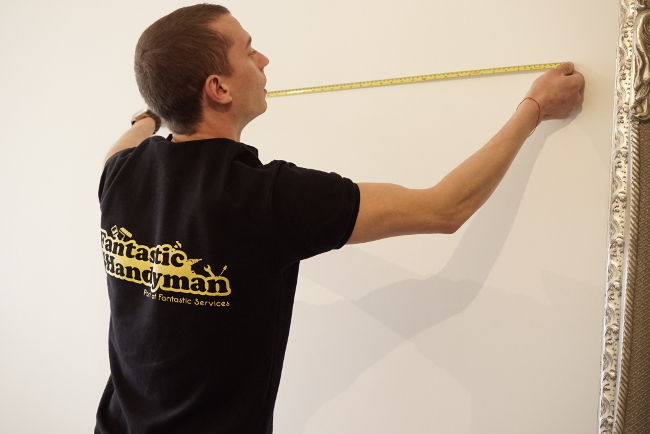 The first job, the handy team had to do, was to measure the mirror and decide on the correct height where it was going to be mounted. Proper placement is essential when it comes to home decor. 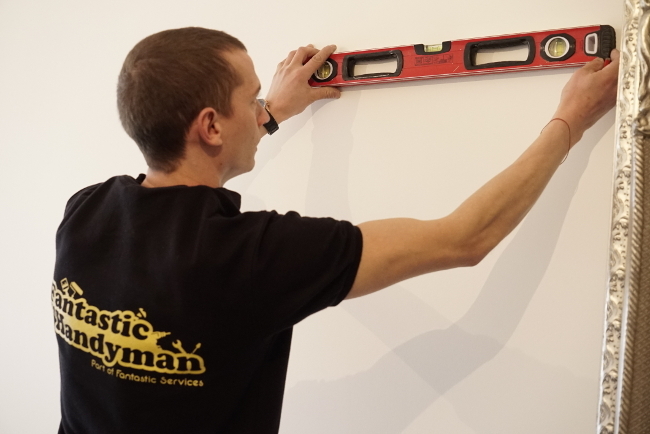 By using a spirit level, the installers marked the holes for the mirror fittings and checked if they were level and aligned straight. 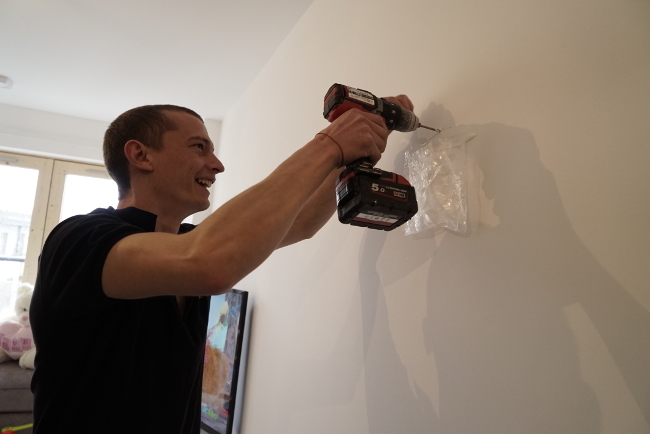 The fitters were equipped with a large selection of hanging accessories and professional tools that were right for the job. 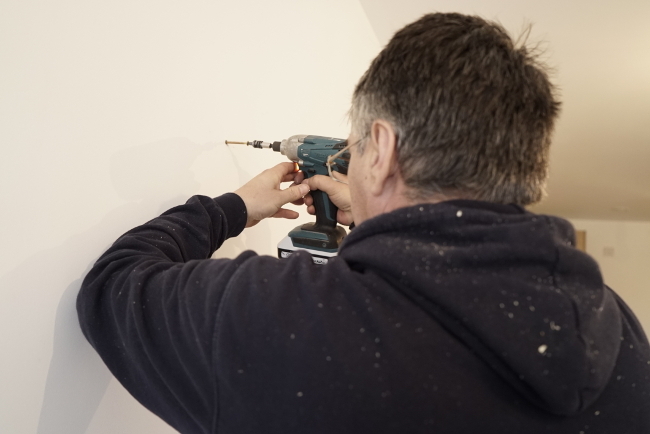 The handyman team drilled 2 deeper holes into the drywall to reach the concrete wall behind the plasterboard. The technicians taped plastic bags below the hole marks so that the dust and debris from the drilling did not fall on the floor. Just a small detail that make our handyman services truly Fantastic. Next, wall plugs were hammered down into the holes. Eventually, long mirror hanging steel screws were screwed into the plugs. After the screws were set in place, the mirror was lifted by the handymen and was rested on the brass hanging cord attached to the frame. This was not an easy task, but since the Fantastic Handyman team consisted of health and safety aware technicians, they managed to handle the job perfectly. After the mirror was safely rested on the cord, the handymen took further actions to ensure that it would remain securely mounted to the wall and wouldn’t come crashing down under its own weight. They marked and drilled two holes at the bottom of the frame directly through it and into the wall. The holes were discreetly placed underneath the frame edge making them almost invisible. When it comes to improving your home decor, it’s important that the tasks are completed securely but also aesthetically. The mirror was taken down and a new set of wall plugs were inserted into the holes. Eventually, it was hanged on the wall once again by being screwed to it through the frame. After the installers completed the job, the customer had a perfectly and safely fitted mirror, which transformed the appearance of the room. Fabulous - really pleased! You did a fantastic job hanging my big & antique mirror. Thanks! Ready to Order Mirror Hanging Service?